What is a QR Code? At its most basic, a QR Code is a barcode on steroids. They're used for encoding information in two-dimensional space -- like in the pages of magazines, in advertisements and even on TV and Web sites. They were originally used to track auto parts, but have become popular (especially in Japan) for much broader, often commercial purposes. 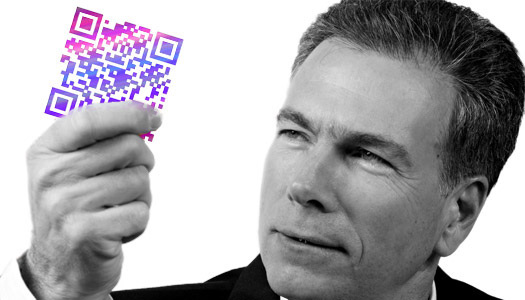 QR codes are tailor-made for quickly and easily linking to content on smartphones. Simple uses include magazine advertisements that link to websites. Putting the codes to more complex use, start-up Pingtag uses them as a sort of digital business card for sharing LinkedIn accounts and contact info. Android uses QR codes to link directly to apps in the Android Marketplace, and the municipality of Bordeaux, France has posted them all over the city in order to track parking meters, provide links to information from the World Heritage Foundation and guide visitors to nearby shops or parking locations via Google Maps. In turn, Google has been using QR codes to promote local businesses (and itself) with the Google Places business directory, which includes reviews, contact info, and, if the business so wishes, coupons. They are perfect to place on ads and direct mail to take your client directly to the information you want them to see.